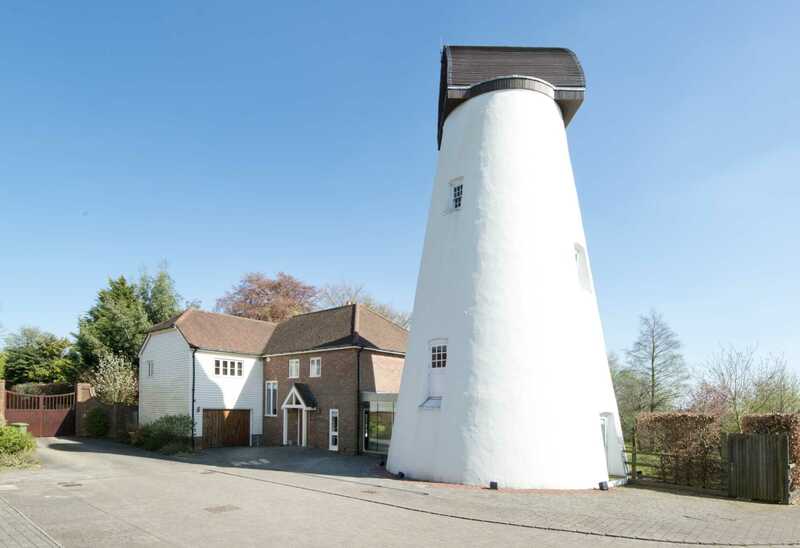 This unique property skilfully combines historic charm with contemporary family friendly living in an idyllic semi-rural setting. Sat prominently at the end of a quiet private cul-de-sac, you are immediately struck by the windmill`s impressive white rendered conical walls stretching skyward. 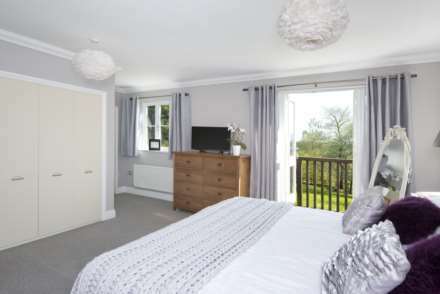 Its 4 storeys deliver spectacular open countryside views and charming versatile accommodation. 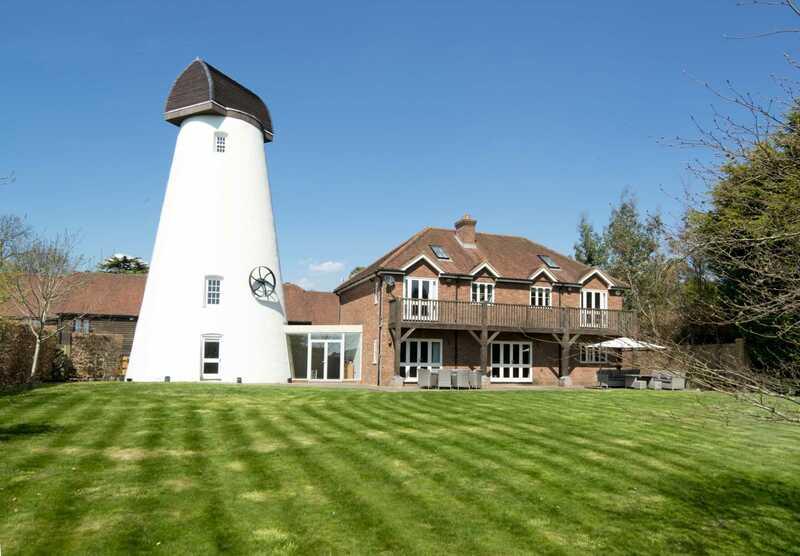 The main house is sympathetically designed to blend seamlessly with the iconic windmill structure, a striking glass enclosed walk way linking the old and new parts of the building. With a large driveway to the front for up to four cars, an integrated garage with rear access directly into the kitchen sits to the left of the main entrance. Beautifully designed with an emphasis on comfort and space, the entrance hall`s warm wooden flooring draws you in. 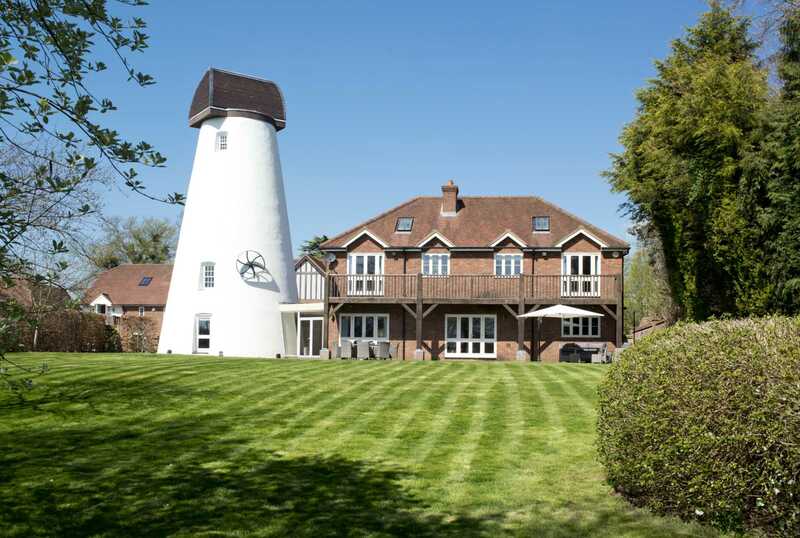 With a useful guest cloakroom on the left, the wide hallway stretches into the glazed walkway that links the main house to the windmill and opens onto the garden terrace at the rear. The stylish kitchen is at the far left of the hallway. It is a sophisticated space with bespoke grey painted cabinetry contrasting with white Corian work surfaces. 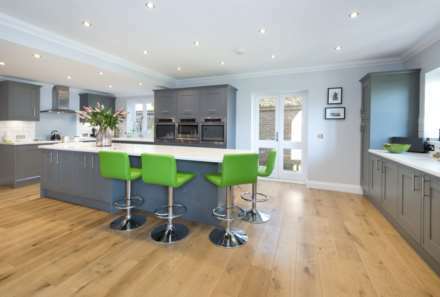 A large central island with space for 4 bar stools makes it perfect for entertaining and family living. 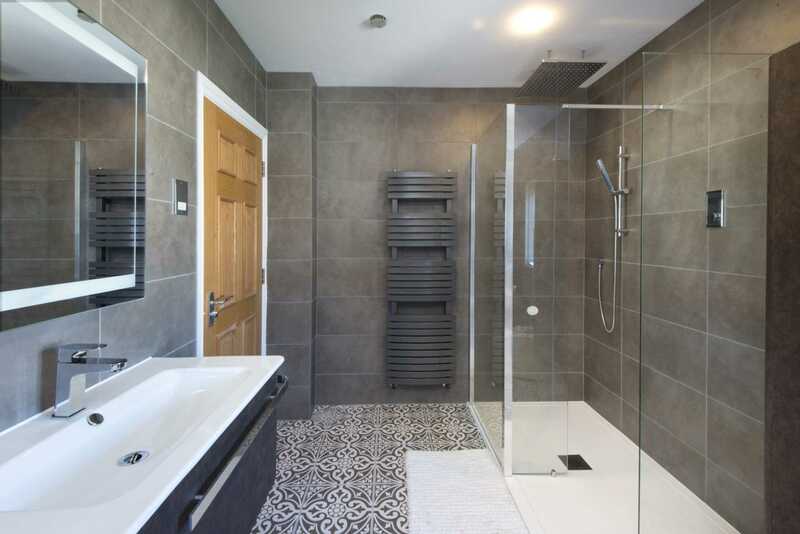 It is also a cook`s dream with all the high-end integrated appliances that you would expect from a house of this quality including an AEG eye level oven, microwave, steam oven and Zanussi dishwasher. 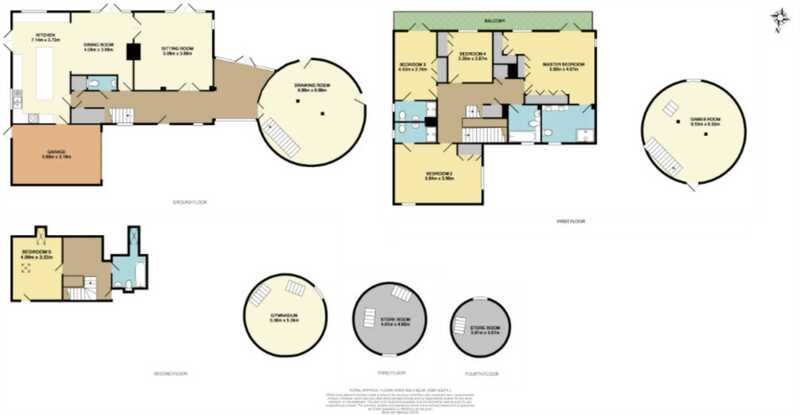 There is also an integrated fridge/freezer and wine fridge. 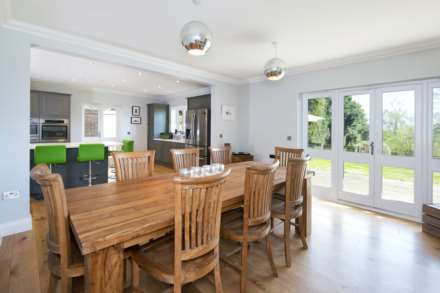 The dimensions of the living space cleverly define a dining area with ample space for a large dining table and chairs. 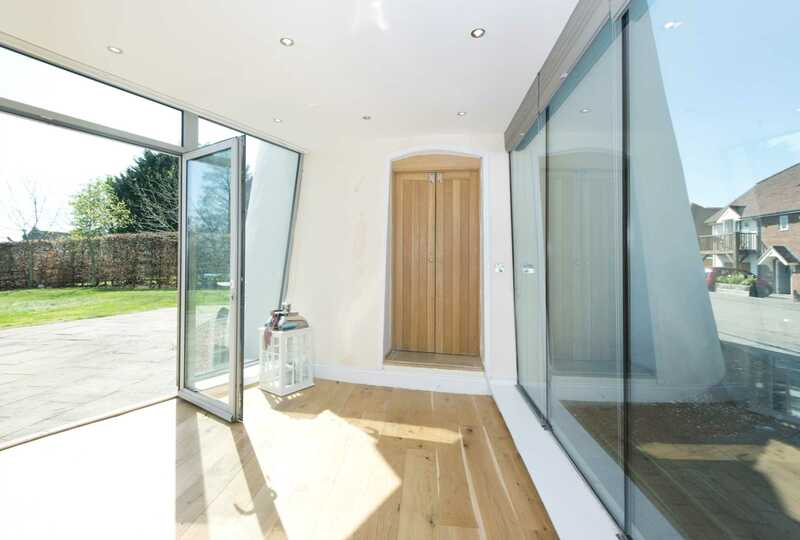 Glazed doors to the rear bring views of the outside in as you dine. Next door is the wonderful sitting room which is flooded with light from its glazed doors which can lie open in the summer months and provide direct access onto the garden terrace. 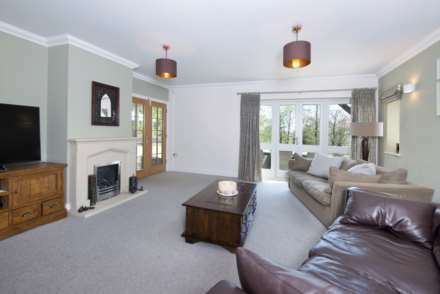 It is a welcoming space with a gas fire set into a stone surround to add warmth in the winter months. 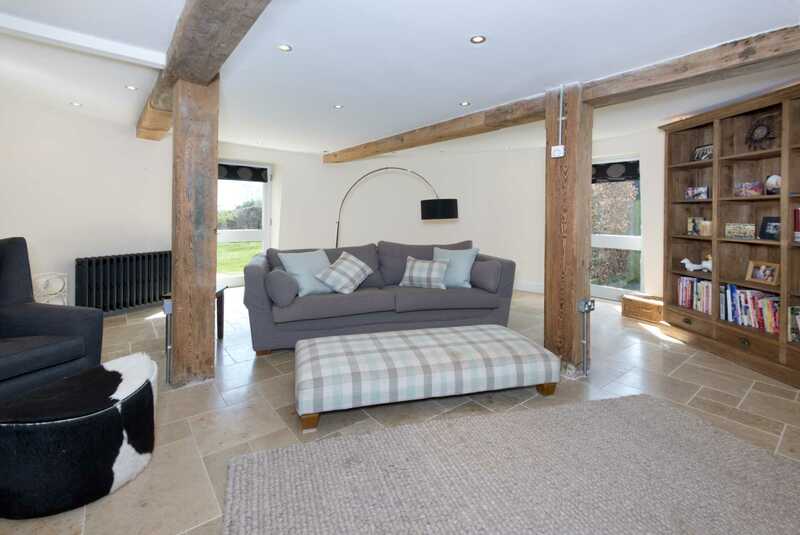 A drawing room in the mill provides additional reception space with charming oak beams and stone flooring adding character to its circular space. 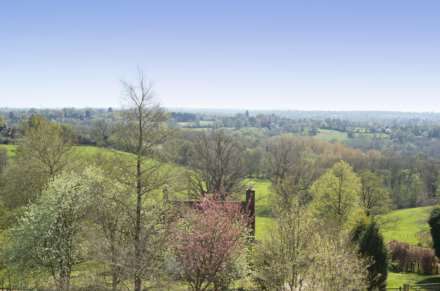 Returning to the main house and climbing the stairs to the first floor, are four bedrooms, three of which have beautifully finished en-suites and two of which have direct access onto a balcony that runs the width of the house delivering spectacular views. The extremely comfortable master suite at the far end of the landing is flooded with light from its French doors which open onto the balcony offering unspoilt far reaching views and making a perfect space for your morning coffee. A contemporary modern en-suite bathroom with his and hers wash hand basins and plenty of bespoke fitted wardrobes add to the feeling of luxury that the room certainly delivers on. A modern family bathroom completes the floor. A further flight of stairs leads you up to the second floor with a 5th bedroom, a large study area and a separate modern bathroom. Returning to the mill and climbing upwards to the first floor is a fantastic space, currently set up as a games room. 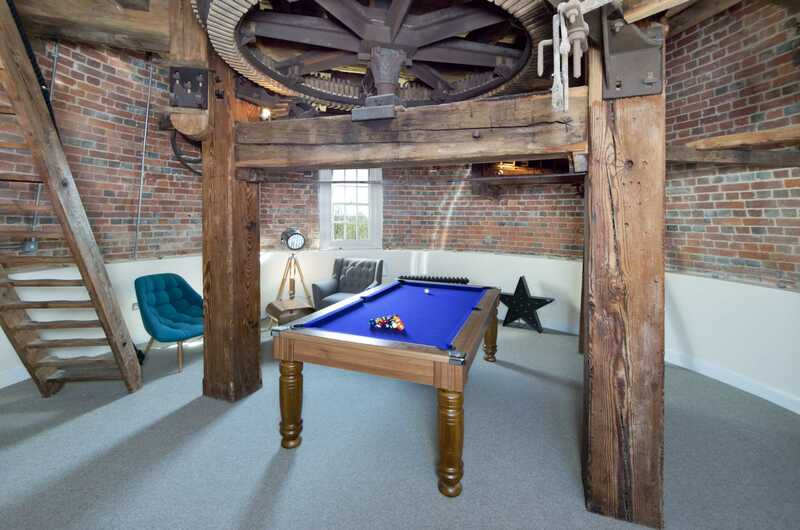 Its exposed brickwork, beams and large cog wheel add historical charm to the unusual space. 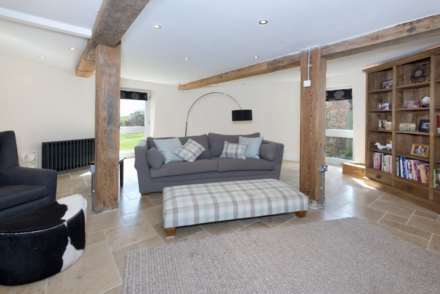 The mill`s third and fourth floors provide useful storage space and unrivalled views. 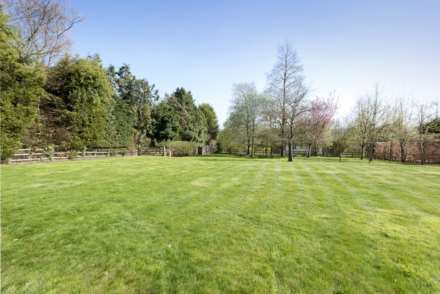 Outside to the rear the sunny south facing garden has been beautifully maintained with an expanse of lawn plenty big enough for a large trampoline and space for children to play on. Mature hedging, and trees afford great privacy enabling you to enjoy alfresco dining and entertaining on the paved terrace as you and your guests enjoy the pleasures of the countryside tranquillity the home enjoys. There is also a communal garden shared by the Mill Court residents to the side of the property. 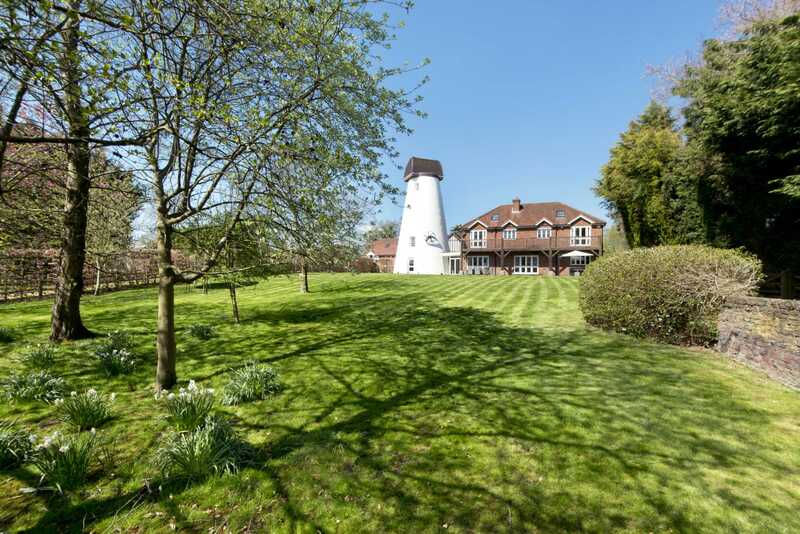 Mill House is within walking distance of Bidborough`s picturesque cricket green, recreation ground, petrol station, local shop and popular gastro pub. With open countryside on its doorstep and being a stone`s throw from easy access to the M25, fast rail connections to central London and first-class schools, it is the perfect home for families with professional needs. 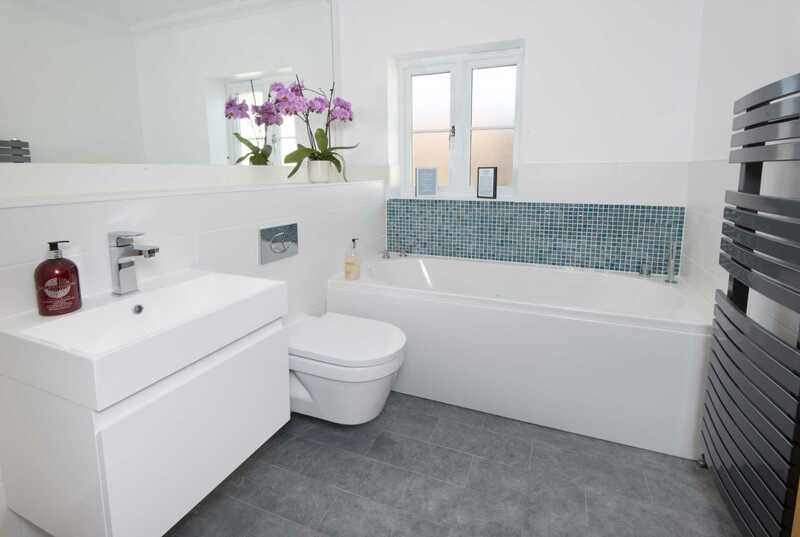 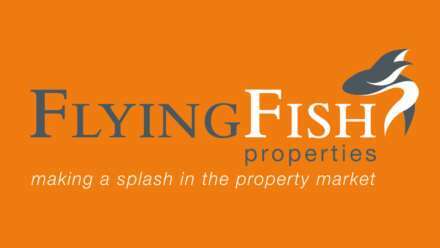 This is a home that has been sympathetically renovated and modernised by the current owners whose attention to detail has ensured stunning décor and fittings of the highest quality throughout. 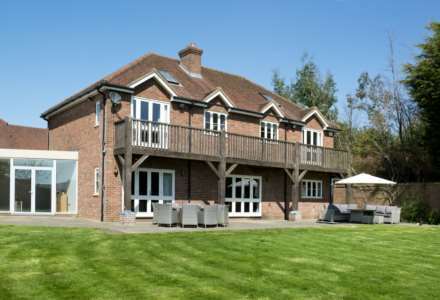 It really does offer a luxury family lifestyle in an idyllic setting that you could move straight in and enjoy. A must see! 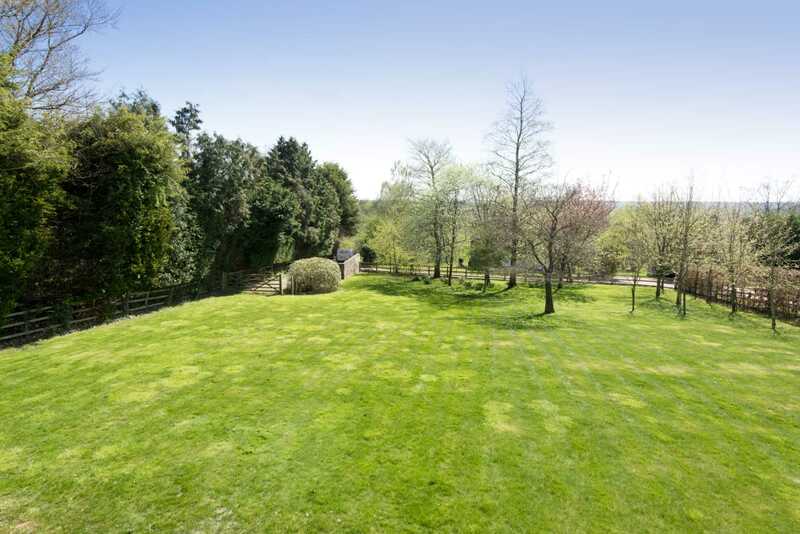 Bidborough is an idyllic and pretty village in the borough of Tunbridge Wells, lying to the north of Tunbridge Wells town centre and to the south of Tonbridge town centre, whose station is a mere 3.3 miles away.